With porcelain veneers, you can revamp your smile without significant restorative dental work. Porcelain veneers are glass-like, wafer-thin covers that are attached to the front of your teeth. Porcelain has been used in dentistry for many years because no other restorative material is such an excellent match for natural tooth enamel. Porcelain is translucent and can be matched to the color of any tooth. It is stronger than enamel and resists stains. Dental ceramists who fabricate porcelain veneers are both artists and technicians. They create beautiful paper-thin wafers that adhere to teeth, correcting chips and stains. Porcelain veneers can also straighten crooked teeth for patients who don’t need orthodontic work. Patients who receive porcelain veneers appreciate the less-invasive process of enhancing their smile. Newer techniques require no removal of healthy tooth enamel. We would be happy to show you what veneers can do for your smile. Providence Dental is located at 7181 N Hualapai Way Ste 105 in Las Vegas. We provide skilled dental care for patients in the greater Las Vegas area. Our phone number is 702-852-2244. 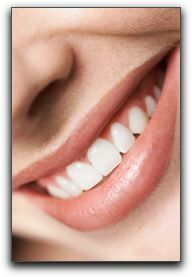 You can visit https://www.providencedental.com/blog/ for information about our practice and our convenient team. Smile – sunshine is good for your teeth!